The month of February has been designated as Heart Health Month, and there is no better month to be concerned about your heart than the month that gives us Valentine’s Day. But the hearts that Heart Health Month is talking about are not floating through the air to influence your true love’s favor. February is all about real heart health and the good habits you need to develop to avoid the consequences of heart disease. The term “heart disease” covers a wide range of conditions that include high blood pressure, heart defects and heart attacks. The most common heart disease is high blood pressure, which is also referred to as hypertension. But each and every heart disease can become fatal if they are not monitored properly, and if they are not treated by a medical professional. To start off your Heart Health Month properly, you should visit your local Gilbert family physician at Complete Care Medicine. Our medical staff is caring and courteous, and we want to take the time to explain heart disease to you, and become your resource for good heart health habits. 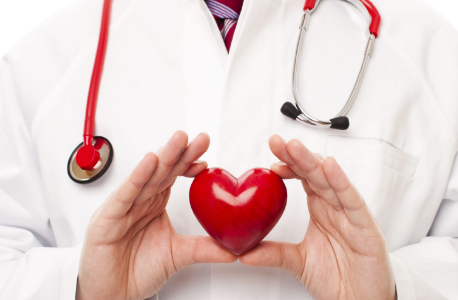 Why Monitor Your Heart Health? Heart problems can linger and build for years before you even start to notice them. You could have issues that could lead to a stroke or a heart attack and not even know it until something actually happens. Complete Care Medicine offers the most comprehensive blood pressure management in Gilbert. We will regularly check you over to see if there are any warning signs, and then we will recommend a course of treatment that should get you on the right track. Heart conditions such as high blood pressure can lead to other problems such as not being able to sleep at night, inability to focus on your daily activities and problems with your vision. Your body is a singular system and every part of your body works together to create your overall health. Your heart and your circulatory system are two of the most important parts of your body, and you need to monitor them regularly to make sure that you are in the best health possible. On your first visit to Complete Care Medicine, you should discuss ways that you can improve your heart health and extend your life expectancy. Good topics to start the discussion with are diet and exercise, and you should never start a diet or exercise program without first consulting with a medical professional. The key to a good diet and exercise program is to start small and build up to something a bit more elaborate. Fad diets will only ensure that you are back to your old eating habits in no time, and trying to be a beast in the gym on day one could get you seriously injured. Our medical providers can recommend a diet program you can stick with, and they will recommend exercise options that make sense. Your heart requires plenty of water and rest, so be sure that you are getting the right amounts of both each day. If you can get eight hours of sleep and drink eight glasses of water each day, then you are on your way to better health. One of the best ways to help your heart’s health and your overall health is to get committed to losing weight and keeping the weight off. Once you start taking the advice of our medical experts and start eating better, the next step is to make sure that you are doing what you can to lose weight. You need to cut out fatty foods and cut way back on how much junk food you eat. If you enjoy snacking, then look into healthier snacks to take the place of the chocolate and other candy you are eating now. Smoking and drinking alcohol are also very bad for your heart health. Most people think that smoking is only bad for the lungs, but cigarette smoke also damages the blood vessels that transport blood to and from the heart. Alcohol also damages the cells in your heart, and it weakens the blood vessels all over your body. 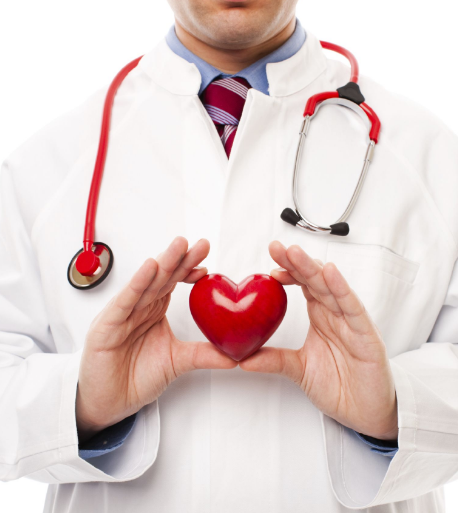 If you are serious about heart health, then you need to take the necessary steps to quit smoking and drinking alcohol. The compassionate experts at Complete Care Medical can help you get started on quitting both of these damaging habits. At Complete Care Medicine, we want to be the people you trust to help you get the healthiest heart possible. We work hard to make sure that all of our patients get the best possible care, and we are always happy to see patients come back regularly for preventive care checkups. In February, there are plenty of people thinking about the hearts that go with true love and romance. But we would also like to see everyone in Gilbert fall in love with good heart health habits that are going to improve the quality of life, and help everyone to live a lot longer.